District 2 Police Captain Alex Ramirez called the meeting to order. Then, he announced that a surprise guest is in the house – Interim Police Chief Alfonso Morales. He was appointed by the Fire and Police commission last month to replace Chief Edward Flynn, who retired. 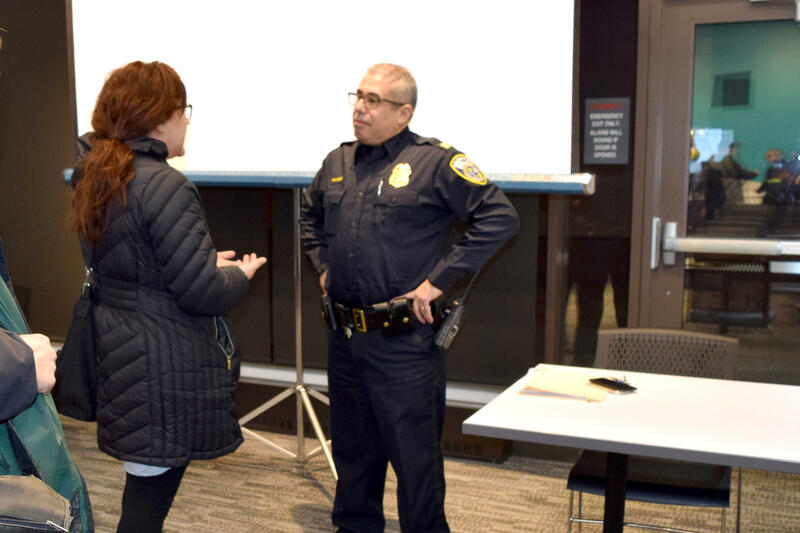 Morales reiterated a promise he made the night he was named to the post – to rebuild trust between police and the people they serve. “We’re going to do the best we can to engage with the community here,” Morales said. Morales was on familiar territory in the largely Latino neighborhood – he was District 2 captain before he was appointed interim chief. He promised to take the passion he has for the district to all neighborhoods in the city. 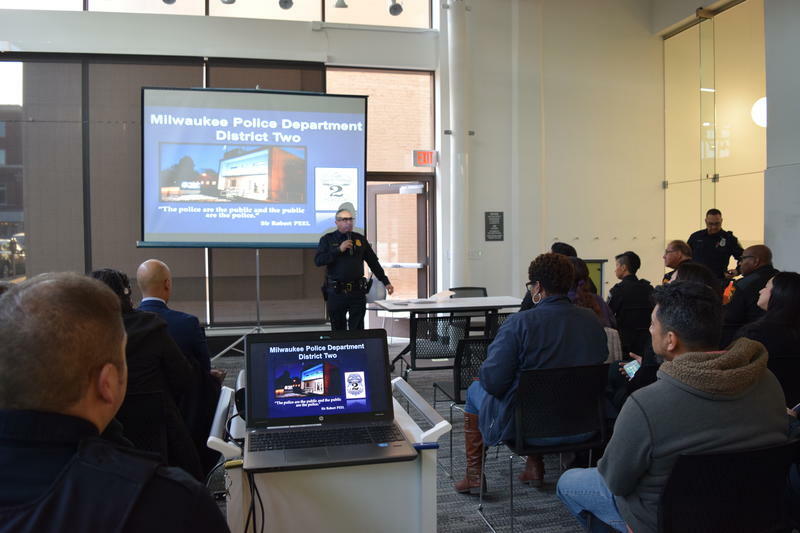 Next up, was a presentation from another new law enforcement leader, Milwaukee County Interim Sheriff Richard Schmidt. Gov. Walker appointed him to replace David Clarke, who left in August. Schmidt assured the audience that his deputies will treat them with respect – he referred to the lack of trust that some undocumented immigrants may have of law enforcement. “You call us when you need help. Nobody’s going to come into your house and say listen, I want to check if you’re a U.S. citizen first before we take care of you and help you. That’s abominable and that’s not going to happen,” Schmidt said. Interim Sheriff Schmidt acknowledged that it may take time for the community to trust the sheriff’s department in the wake of David Clarke’s departure. Clarke was eager to cooperate with federal immigration authorities. A packed house at a District 2 crime and safety meeting. 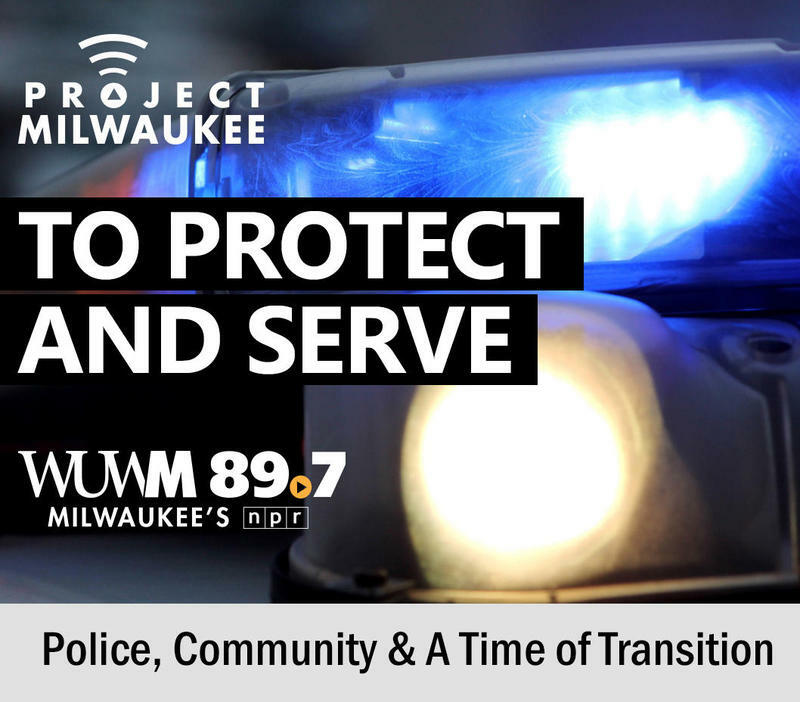 Schmidt told the man that communication and collaboration between law enforcement and residents – such as what was in evidence at the community meeting – is the key to an improved relationship. After the interim sheriff's time at the mic, District 2 Police Captain Ramirez gave a presentation on crime statistics for the neighborhood. He told the crowd, there was good news to share. “Let me just talk about overall crime in District 2, compared to last year, we’re down six percent. What does that mean? 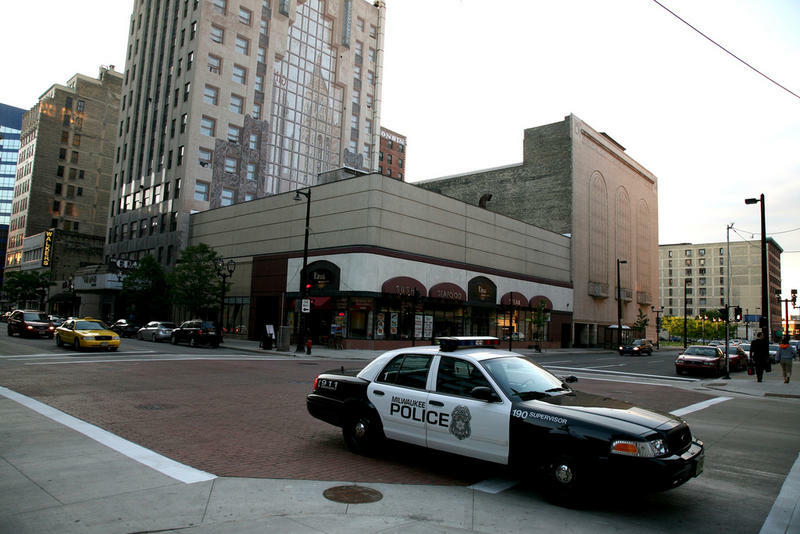 It means District 2 is safer, but there’s always a lot of work to do,” Ramirez said. Ramirez added that while overall crime is down, car thefts and incidents of domestic violence are up in the district. And he said prostitution remains a nagging issue. District 2 Police Captain Alex Ramirez talking with a resident after the meeting. Many people mingled after the meeting, including Angeles Rodriguez. She said she’s concerned about drug houses and thefts in her neighborhood. But, she said she’s noticed a better police response now, than when Police Chief Edward Flynn was in charge. Rodriguez said she sees more officers out, engaging with people. “Before, they don’t talk with the community. They don’t talk face to face. Now it’s more accessible,” Rodriguez said. A steady stream of people lined up to voice their concerns to Captain Ramirez. 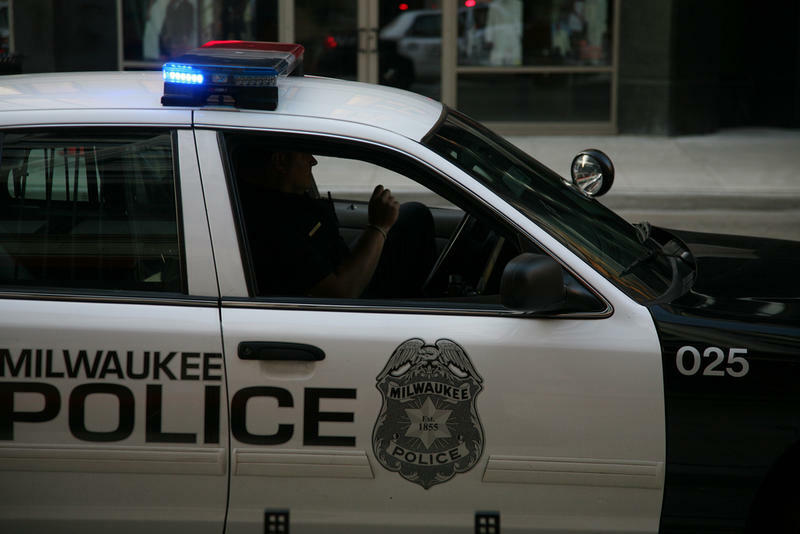 Many were worried about reckless driving -- as well as burglaries in the district. Ramirez said often, he follows up by investigating complaints himself – especially those regarding nuisance properties or drug houses. “When I hear about a place along Greenfield Avenue, I’ll personally go check,” Ramirez said. 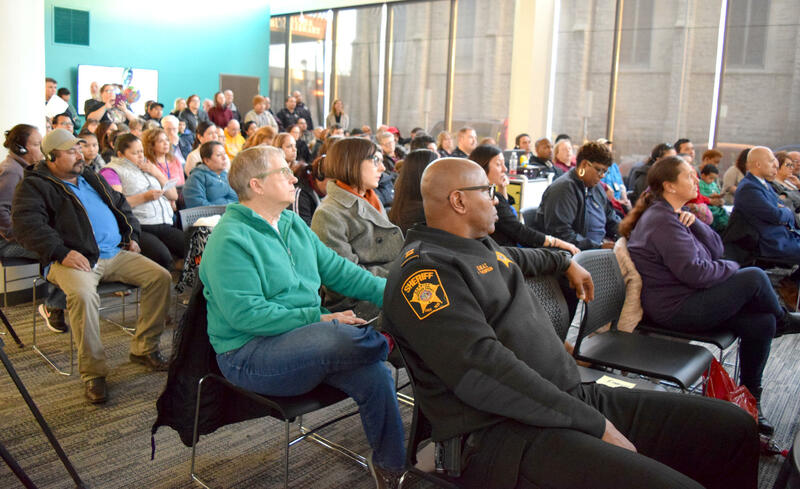 Ramirez echoed what Interim Sheriff Schmidt said – about the importance of law enforcement working closely with residents and business owners to address concerns. He said this spring, one of his projects will be to improve rental properties that have fallen into disrepair. Ramirez plans to work with community groups and lead neighborhood walk-throughs, inspecting rental properties and enforcing stricter enforcement of city codes.